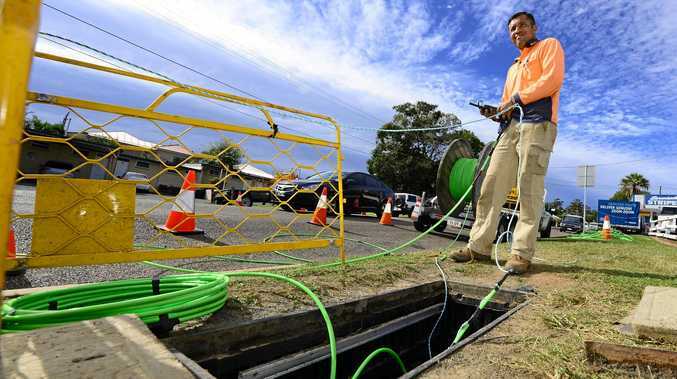 FASTER internet is on its way for the Gladstone region, with the State Government using 6000km of government-owned fibre to improve internet connections for businesses and households. The new entity, called FibreCo Qld, will partner with internet service providers and could lower prices for 600,000 properties across the state. Gladstone MP Glenn Butcher said there was much capacity left over to allow for FibreCo to happen. "These fibre optic cables are 10 times faster than any of the internet we have that currently comes to our house, including the NBN,” Mr Butcher said. According to the Australian Competition and Consumer Commission, regional Queensland has some of the least competitive internet markets in the country. Premier Annastacia Palaszczuk said the extra capacity would allow for faster and more reliable internet for regional Queenslanders. "Fast and reliable internet is vital when it comes to running a business,” Ms Palaszczuk said. Mr Butcher said the fibre would not be available for the southeast region, and would be exclusively used for regional Queensland.